In 2016, the Ballard Elks established the Ballard Elks Paddling Club (BEPC) to create a community for club members who enjoy paddling from the club’s Shilshole Bay location. The BEPC is open to any Ballard Elks member in good standing who is interested in paddling – SUP, kayak, outrigger canoe, surf ski, or prone – at any level of experience, from curious to adventurous. The club offers paddle craft storage options to members, access to a members-only Facebook page to connect with paddlers, as well as social gatherings, which include meetings and group paddles. The BECP meets monthly every third Thursday at 7:30 p.m. in the Ballard Elks Lodge Hall, with the exception of summer and winter holiday months. Please see the schedule below. We welcome anyone interested in joining! 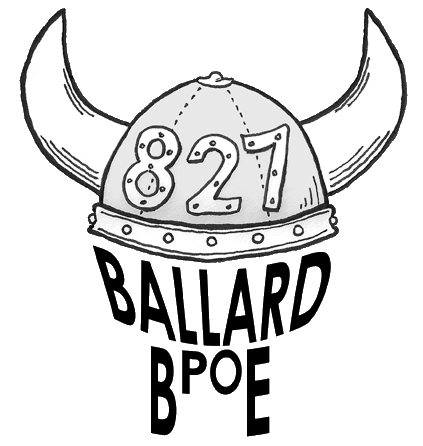 You must be a member of the Ballard Elks Lodge #827 in good standing. To join the BEPC fill out and follow the directions in the online form. Open to BEPC members in good standing, based on availability. Join us every Monday evening from May to September for our paddling race. 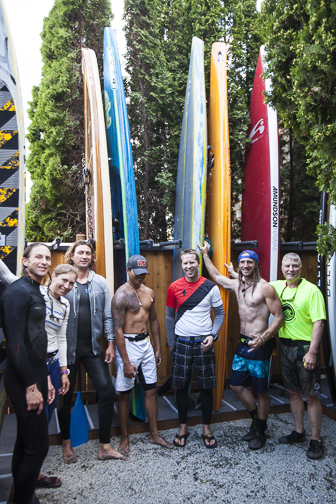 The race is open to all paddling craft such as SUP, surf ski, kayak, OC and rowers. All proceeds are donated to an Elks charity at the end of the season. Open to non-Elks members. Ok to park in the Elks lot during the race. Follow us upstairs after the race for post race hydration and food. Registration: Starts at 6pm in the Elks parking lot. Course routes vary weekly and range from 1.5 to 2.5 miles. BEPC Members, please submit your volunteer hours here. Please share your ideas for meeting topics and events here.